On 5 January, Constantinople Patriarch Bartholomew signed the tomos granting autocephaly to the newly established Ukrainian church. Following a morning prayer at St. George's Cathedral, Bartholomew gave the tomos and a crosier to Epiphany Dumenko, who was elected head of Ukraine's new autocephalous church during the "unification council" in Kiev in December. The ceremony was attended by Ukrainian President Petro Poroshenko with his spouse, Chairman of the Ukrainian Verkhovna Rada Andriy Parubiy, Ukrainian Minister of Economic Development and Trade Stepan Kubiv and others. The Ukrainian Orthodox Church of the Moscow Patriarchate, which does not recognize this decision, said the signing of tomos was illegal and would only cause trouble in Ukraine. The Russian Orthodox Church said the move was a result of Kiev’s political ambitions, calling it a tragic day in the history of Orthodoxy. In April, Ukrainian President Petro Poroshenko said that Ukraine was very close to creating its own local autocephalous church. 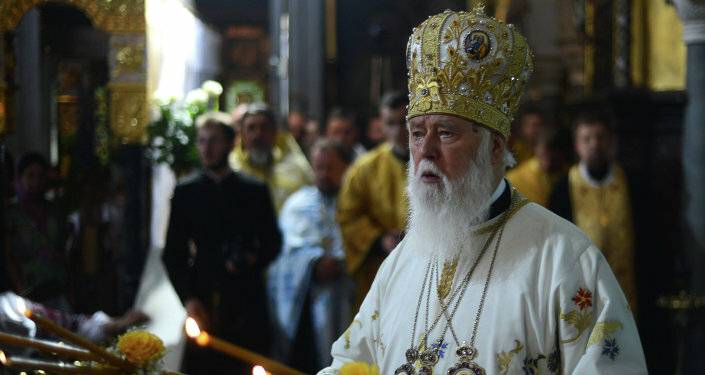 According to the president, non-canonical Ukrainian Orthodox Church of the Kiev Patriarchate sent an appeal to Ecumenical Patriarch Bartholomew to create a single local autocephalous Orthodox church in Ukraine. Later in April, Poroshenko said that Ecumenical Patriarchate of Constantinople was launching procedures required to establish the Autocephalous Church in Ukraine. 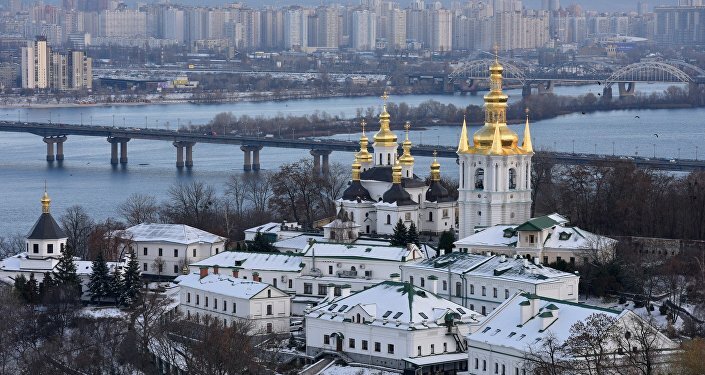 In July, representatives of a delegation of the Ecumenical Patriarchate of Constantinople announced during a meeting with Poroshenko in Kiev the launch of the first stage of procedures required to establish Ukraine's "new church," which were to be recognized by the Holy Synod. In October, the Synod of the Constantinople Patriarchate announced that it would proceed to granting independence to the Orthodox Church in Ukraine, which was split into three major churches — the Ukrainian Orthodox Church (UOC) of Moscow Patriarchate, the non-canonical Ukrainian Orthodox Church of Kiev Patriarchate (UOC-KP), which was created after the collapse of the Soviet Union, and the so-called Ukrainian Autocephalous Orthodox Church. The synod announced that it lifted the anathema from the heads of the two non-canonical churches that had been excommunicated by the Russian Orthodox Church for their schism. The Constantinople Patriarchate also revoked its decision to grant Moscow Patriarchate the right to ordain the Metropolitan of Kiev, which dates back to 1686. On October 8, the Holy Synod of the Russian Orthodox Church decided to completely "break the Eucharistic communion" with the Patriarchate of Constantinople. The Russian Orthodox Church called the synod's decision the "legalization of schism," saying that it would have catastrophic consequences and would affect millions of Christians in Ukraine and other countries. The Moscow-affiliated Ukrainian Orthodox Church said that the synod’s decision was a hostile act, interfering with the Ukrainian church's affairs, and threatened the Constantinople patriarch with anathema. In December, Poroshenko announced the creation of the autocephalous Ukrainian Orthodox Church, following a "unification council" held in Kiev, at which Epiphany Dumenko, Metropolitan of Pereyaslavsky and Bila Tserkva of the UOC-KP, was elected primate of the "new church." The president said that a tomos of autocephaly was expected to be received from Patriarch Bartholomew in early January. On December 20, the Ukrainian parliament passed a bill requiring the UOC-MP to add the word "Russian" to its name in order to reflect its ties to the country. Poroshenko signed the bill into a law two days later. With the law in force, the UOC-MP has four months to change its name, but the church said it planned to challenge the legislation in the Constitutional Court.